In my early to mid twenties I spent considerable time studying scriptures and their exegeses (and the most fundamental of the theological works) of world’s major religions. Now, some thirty years later, enjoying the fairways on the back-nine of my life’s course, I am trying to revisit these scriptures as and when I get time. The idea is to see what still seems to shine as bright in the twilight of my intellectual journey as it did at the base camp. 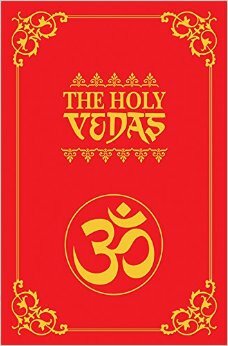 Recently I read the humungous works of the Vedas again. I have not been so interested in ‘Karma Kanda’ section of each of the four parts of the Vedas as these sections deal with the hymns and rituals of Hinduism and the ritualized religion is not of great interest to me. However, here are some excerpts from ‘Jnana Kanda’ sections of the Vedas. This part of the Vedas, that tells us what it really means to be a human being, is not merely for Hindus, it is universal – Vedic India’s precious legacy to humanity that continues to dazzle after five to four thousand years. It is hard to think of a scripture or text of the same age (some 5,000 years ago) that can match Vedas in its understanding of human nature. Rarely have I seen such distillation of spiritual wisdom as in these parts of the Vedas, which are together called Upanishads. The Upanishads are empirical rather than urging to believe and thus undermining our sense of logic and our sense of responsibility for discerning truth for ourselves. Their narrative is non-judgmental that speaks with passion about darkness and ignorance and not with anger about sin and punishment. To flow in and out. Released from the cycle of birth and death. None of these can be the First Cause. To help the self rise above pleasure and pain. The mind may be said to be of two kinds, pure and impure. Driven by the senses it becomes impure; but with the senses under control the mind becomes pure. It is the mind that frees us or enslaves. Driven by the senses we become bound; master of the senses we become free. Those who seek freedom must master their senses. When the mind is detached from the senses one reaches the summit of consciousness. Mastery of the mind leads to wisdom. Practise meditation. Stop all vain talk. The highest state is beyond reach of thought, for it lies beyond all duality.